Spending time outdoors with friends and family is a joy. Creating a warm, inviting outdoor living area is one of the best ways to do this. Not only does it provide a great place to enjoy your yard and the beauty of the outdoors, but an outdoor living area also helps to make your home feel larger, adds value and curb appeal. However, unlike your family room that you likely build around the entertainment system or your formal living room that you may build around a fireplace, deciding on the centerpiece of an outdoor living space can be a challenge. Why not add a fire pit and use this as the centerpiece to this wonderful outdoor space? Here are five reasons why you will want to give this some serious thought. Creates a Year-Round Space – Though the weather is quite mild in San Diego, there are some nights where there may be a bit too much chill in the air to sit comfortably outside. A fire pit helps solve this dilemma—bringing warmth to even the chilliest nights. Adds Value – When you make any change to your home, you want to add value to it, right? A fire pit is highly desirable by home buyers, so you know that you will be adding value to your house and making the exterior much more appealing. Perfect for Entertaining – It can be difficult to entertain guests in your home, but everyone loves a party. Adding a fire pit creates an outdoor living space that is ideal for hosting parties of all types. Different Designs to Fit All Styles – Whether your home is a traditional or modern design, there is a fire pit option that will fit your style. You’re not stuck with just one option—choose from many different options to create a look that is distinctly you. The Perfect Finishing Touch – A patio or other outdoor space can sometimes feel incomplete. Even with seating and décor, you need that one element to bring the space together. In this way, the fire pit shines. The right choice can help tie your outdoor space together and make it work. As you can see, a fire pit is an ideal centerpiece to your outdoor space. If you want to add this element to your garden or patio, you don’t have to do it alone. Lars Remodeling in San Diego does more than just interior remodeling; we can work with you to create a fire pit or other outdoor elements that capture your own personal style and make your outdoor living space an important part of your home. Call or contact us today for a quote or to talk to an expert. 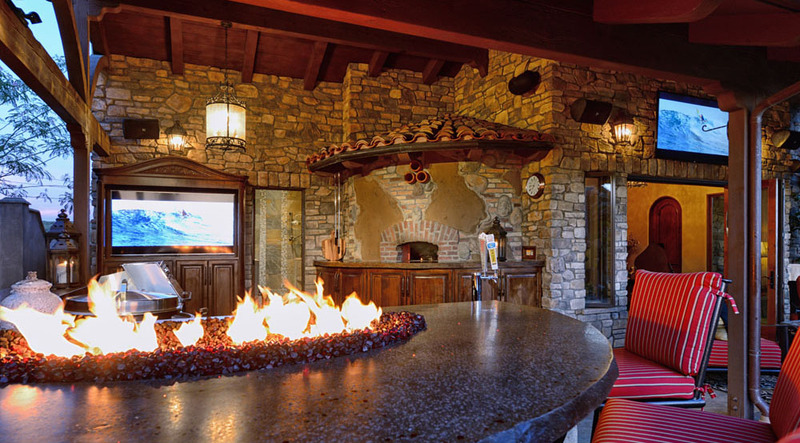 We can’t wait to bring the warmth and beauty of a fire pit to your yard.